For the last nine years, Naylor has actively kept bees and currently maintains 39 colonies throughout Moorestown. 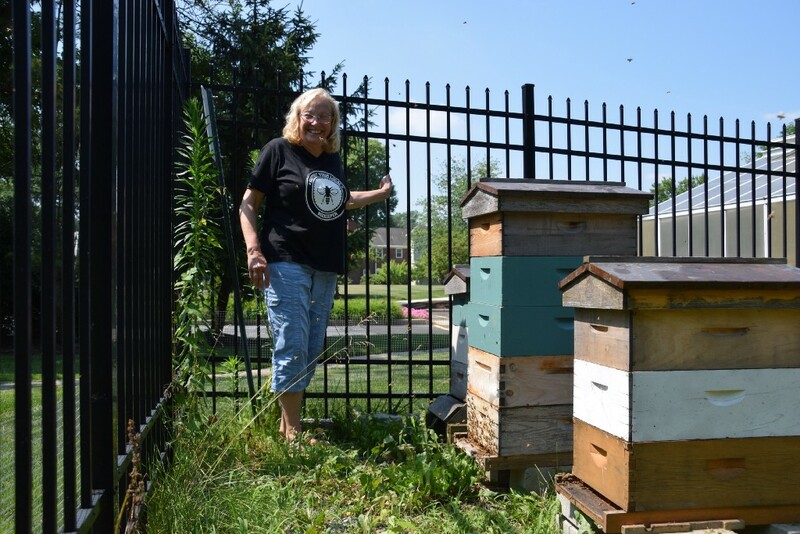 On a particularly warm July day, Eloise “Lou” Naylor is checking on one of her bee colonies she keeps at the Evergreens Community Garden on Bridgeboro Road. Without gloves, a veil or even the slightest bit of hesitation, Naylor walks directly through a cluster of buzzing bees and right up to the hive to take a peek inside. Naylor said the biggest misconception about beekeeping is that it is dangerous. She maintains quite the opposite. For Naylor, there is an instant sense of calm that comes over her when she works with bees. For the last nine years, Naylor has actively kept bees and currently maintains 39 colonies throughout Moorestown. Her affinity for bees stems from her childhood. Her grandmother was a German immigrant who kept bees on the family farm, and when she came to the United States, farmers in the surrounding area would seek Naylor’s grandmother for her expertise on the subject. Naylor said she has fond memories of there always being honey in her grandmother’s home. Growing up in Philadelphia, Naylor was tasked with picking the Japanese beetles off of her mother’s roses. It was while picking off those beetles that Naylor discovered if she moved slowly and calmly, any bees on the bush would leave her alone. Naylor moved to Moorestown in 1980 and worked in town at Virtua Primary Care as a registered medical assistant. She is now retired, but said maintaining her 39 colonies is nothing short of a full-time job. Nearly a decade ago, a neighbor taught Naylor the ropes of beekeeping. She said the pair would go out and catch swarms, and before she moved from her home to a nearby condo, she maintained eight backyard hives. Naylor quickly immersed herself into the world of beekeeping. She attended classes, joined local beekeeping groups and today is the New Jersey director of the Eastern Apicultural Society. She said there’s more to beekeeping than just putting out boxes and collecting honey. Naylor keeps bees at the Pennsylvania Horticultural Society, the Evergreens and even on the back porch of her condo. She said when she moved, a neighbor offered to house her colonies. Naylor also maintains colonies in local backyards. She said if someone calls her to host bees on their property, she’ll pay a visit to see if their yard is a good spot. When starting a new colony, Naylor will purchase a queen she knows has been bred to have a more gentle temperament, and she’ll divide her colony in half to start a new hive. She said she can either drive to a nearby store to get the boxes and necessary supplies to start a new hive or simply order them online. The key to avoiding a sting, according to Naylor, is a calm temperament. She said honeybees are not aggressive and typically only sting if they’re being swatted at or if their hive is disturbed. She said when she goes to harvest honey, she uses a smoker to disrupt the alarm pheromone that bees release when they feel their hive is being disturbed to ensure the bees remain calm. Despite using a smoker and dressing in light colors, Naylor said she still gets stung almost every time she works with bees. She said while she’s never become immune to the pain of the sting, she isn’t fazed by them anymore, and she typically only wears a veil to protect her face when harvesting honey as that is the one area she does not want stung. In the summer, Naylor’s focus is making sure her bees have enough room in the hive so that they do not swarm. She said she is continually evaluating that because if the hive fills with honey, and the queen does not have enough room to lay, the bees will leave to find a larger hive. She said while the bees typically leave behind a new queen, a beekeeper will lose half their hive and honey. Throughout the summer, Naylor is also monitoring for mites and signs of viruses. She said bees use water to cool off the hive, and so she puts out dishes of water for her colonies to ensure they’re not going into local pools. Naylor also keeps a close watch on her colonies during the winter. She said ensures her bees have enough food to make it through the winter and wards off any mice or other predators that try to make their way into the hive. Naylor is particularly active in the beekeeping community. 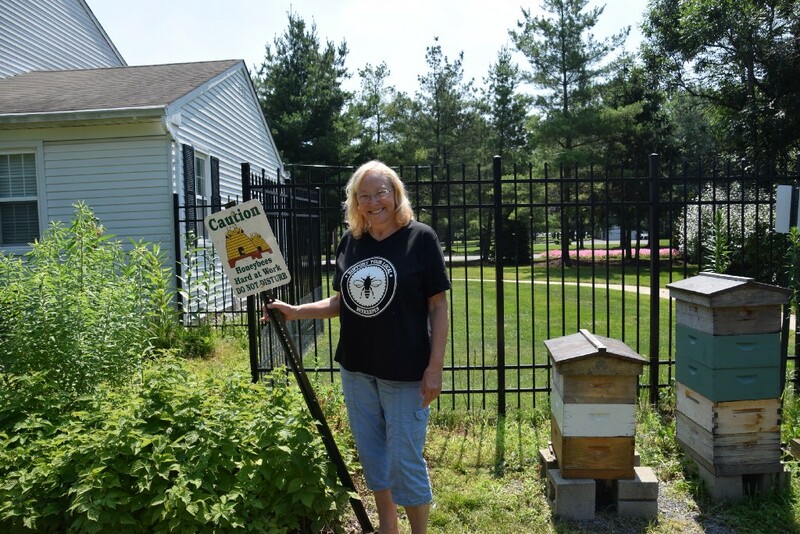 She started the Burlington County branch of the New Jersey Beekeeper Association, is a member of the Philadelphia Beekeepers Guild and annually attends the American Beekeeping Federation conferences. She also sells her honey locally and does educational kids programming through the Pennsylvania Horticultural Society. She recently returned from a beekeeping trip to Kenya where she said she was inspired by local beekeepers who are able to do so much with so few resources. Her hope is that Moorestown one day becomes a Bee City through Bee City USA. 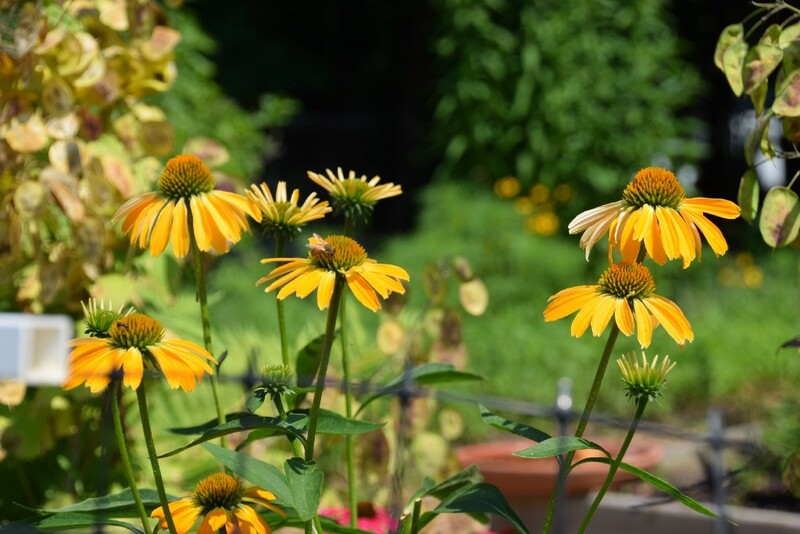 The endorsement is given to cities that have made a commitment to creating a sustainable home for pollinators. To find out more about Naylor’s local beekeeping efforts or if you’re interested in hosting a hive on your property, contact Naylor at moorestownhoneyworks@gmail.com or visit http://www.moorestownhoneyworks.com.